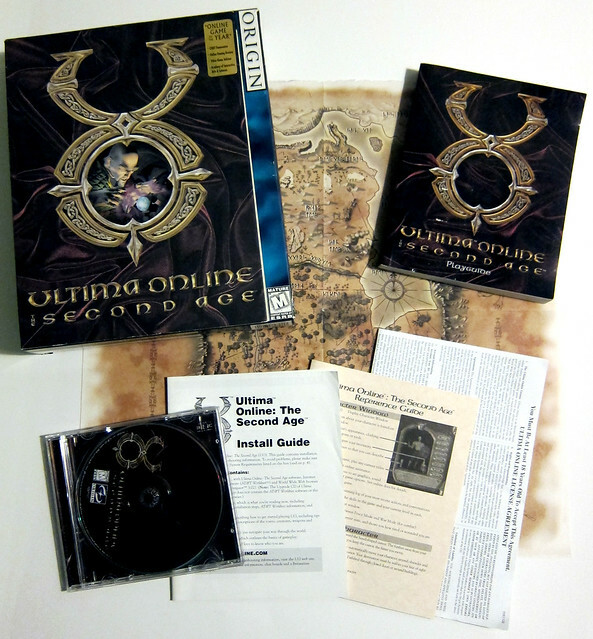 Yesterday we covered the launch of Ultima Online and today we are continuing on with the quest of looking back at all of the expansions and major events of Ultima Online, as we head towards the 14th Anniversary. That brings us to The Second Age. 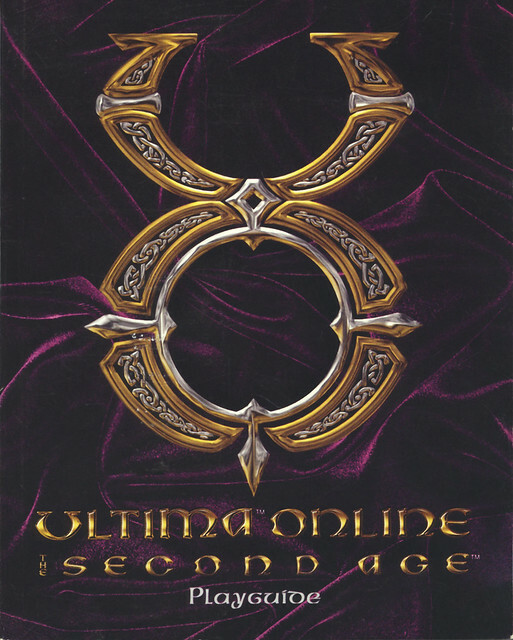 The Second Age rolled into UO in October of 1998, but a lot happened between the original release of Ultima Online and T2A. I’ve included some specific highlights in this previous post if you’re curious. 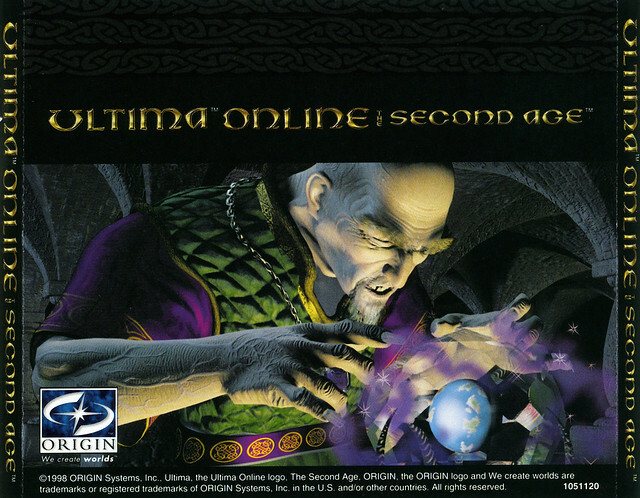 It must be noted that not long after T2A launched, UO would grow to reach 100,000 players. These were pretty heady times for UO. So how was it being sold? With a similar message as the original UO, but adding in all of the accolades it had received (Game of the Year type of stuff), as well as emphasizing the social aspects. 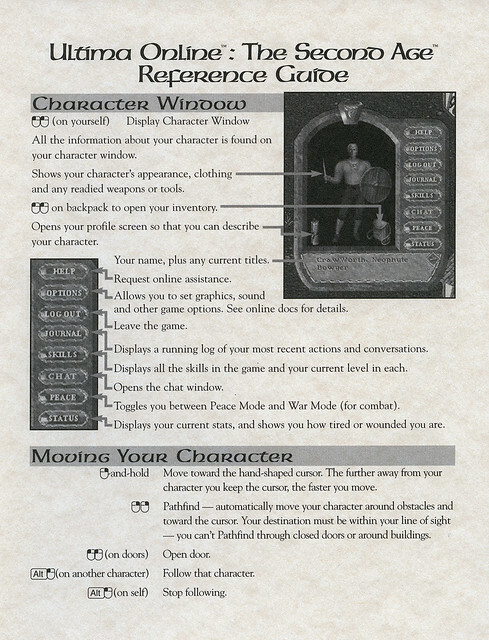 It also emphasized things that had been added since the original UO launch – guilds and vendors. Potentially thousands of players online day and night from around the world, each character as indivdiual as the person who created it. A vibrant player community, hundreds of websites, hundreds of guilds to join. Are you with us? Your actions have a real, lasting impact on this fully simulated world. Regular and ongoing automatic updates to the game snure that it remains fresh and exciting. 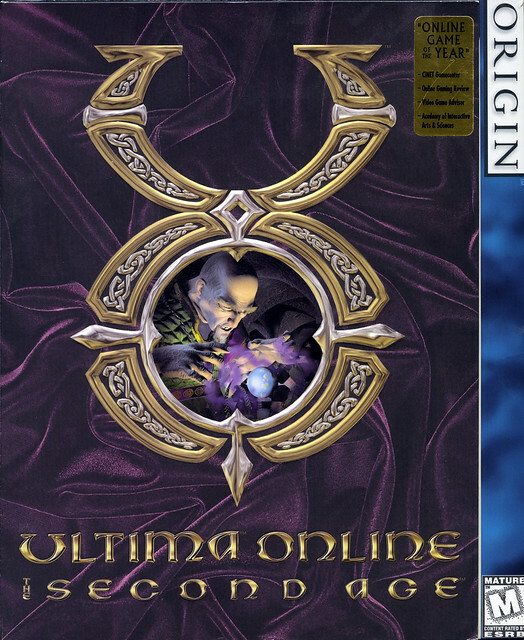 Ultima Online offers an unprecedented degree of freedom for you to seek out your own destiny. 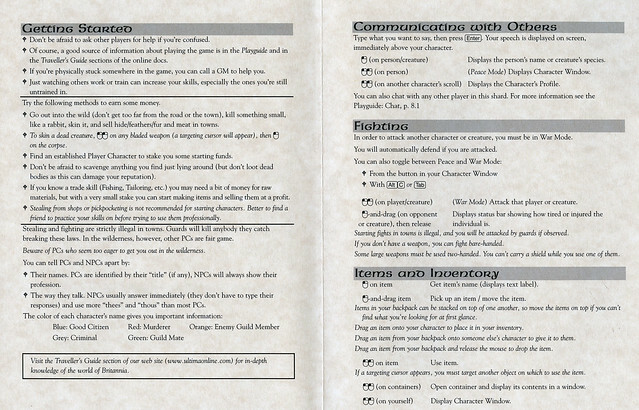 Craft weapons, tame wild animals, build a house, run a shop, quest for treasure, delve into dungeons – true role-playing where your only limitation is your imagination. 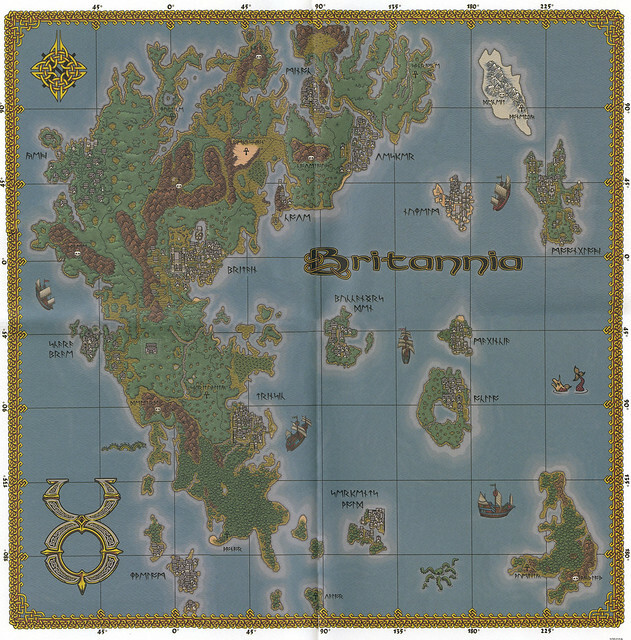 Ultima Online truly enters a new age, with over a year of gameplay refining, increased land mass, new creatures, towns, and terrain, enhanced interface, extended chat features, new in-game language translation, and a new tutorial. 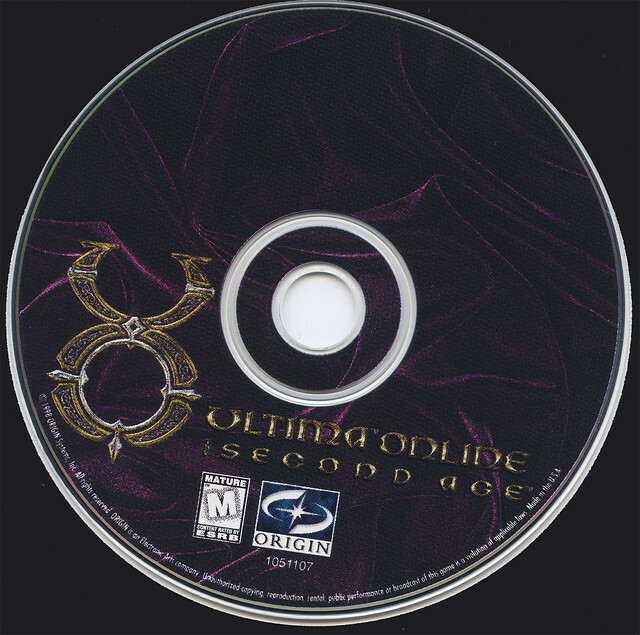 The Best-Selling Role-playing series of all time has revolutionized online gaming again with Ultima Online: The Second Age. Interact with thousands of players simultaneously in this breakthrough Internet fantasy world. Get online and immerse yourself in the adventure of a lifetime..
Now “Quite a bit” is very subjective obviously. If you were doing the upgrade price, it was a steal. As much as I liked the cloth maps, I don’t have as much of a problem as these were pretty detailed, more detail than you get with cloth, as you can see from my scans above. 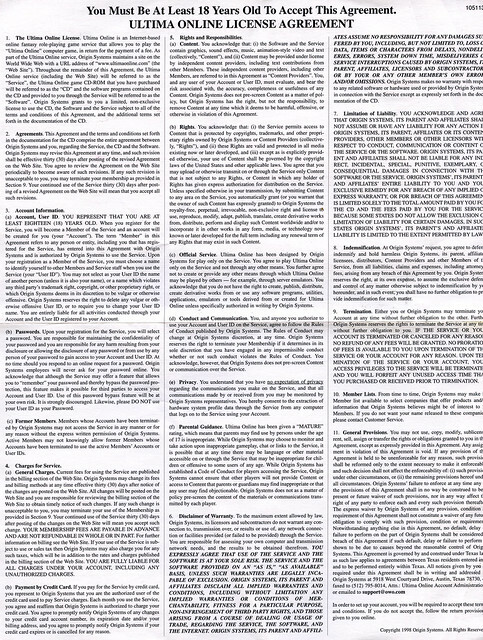 The system requirements went up a bit as well. 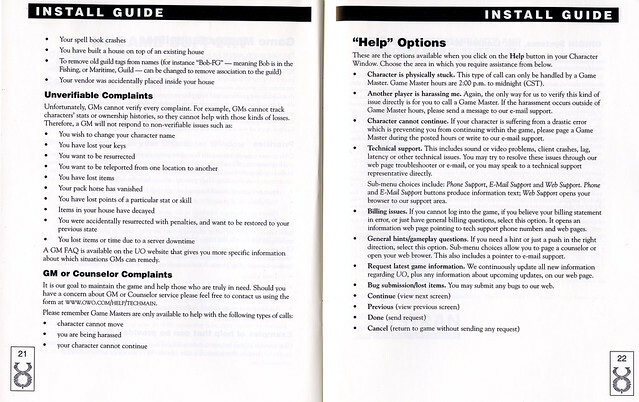 The basic requirements weren’t that different from the launch, but now that Intel’s Pentium II and AMD’s K6-2 were starting to reach the market in large numbers, and with the improvements made by Microsoft in Windows 98, change was definitely in the air and it was a prime time to upgrade. Woe be to those who had spent a lot of money upgrading late in 1997 only to find Intel and AMD releasing better performing platforms in 1998. 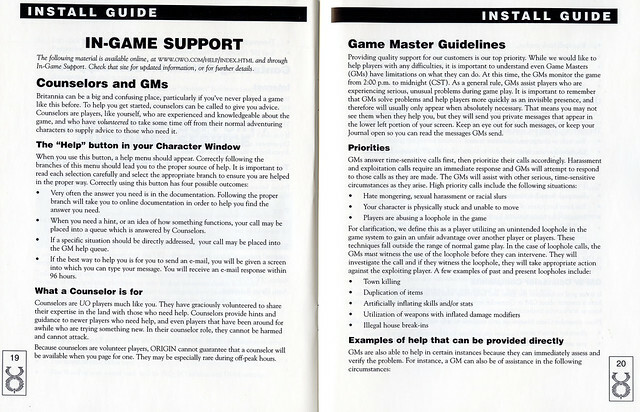 I was one of those that had to wait another year or two to have the money available to upgrade, after I had upgraded for the original UO. 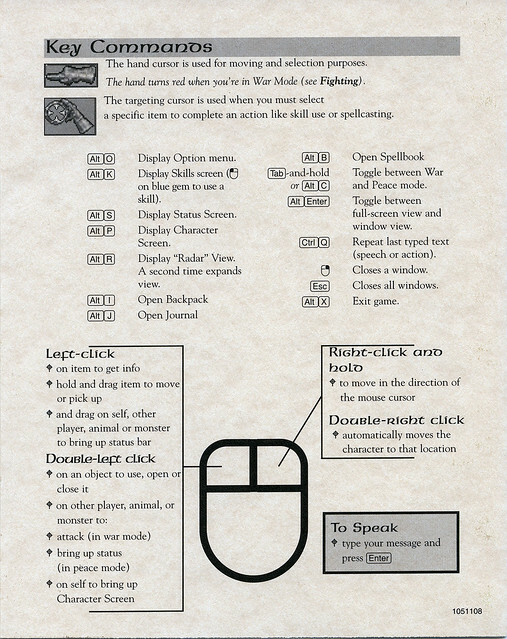 T2A gave everybody, even those who didn’t initially purchase it or upgrade to it, the “Big Window Client” allowing players up to have a window up to 1024×768 in full-screen mode. The gameplay window was still small – 640×480 I believe, regardless if you went into full-screen mode or not, but with full-screen mode in 1024×768, you could move a lot of stuff off of the gameplay window. Correction: I’ve been told that it was 800×600 for gameplay. I wasn’t sure. I enjoyed it as an expansion. 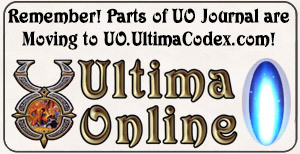 As I mentioned in the other article, a tremendous amount of work and changes had gone into UO since its launch. I enjoyed the new areas to explore, and I really enjoyed the amount of players that came in, although it wasn’t too long after that UO started to reach some kind of critical mass. Delucia became my main home away from home. It won a few awards along the way, including an “Online Role-Playing Game of the Year” at the Interactive Achievement Awards which is an industry event. A lot of reviews were mixed though. 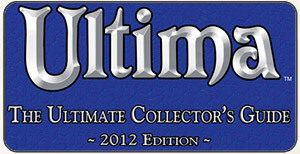 I remember some stating that this was the UO that should have launched. 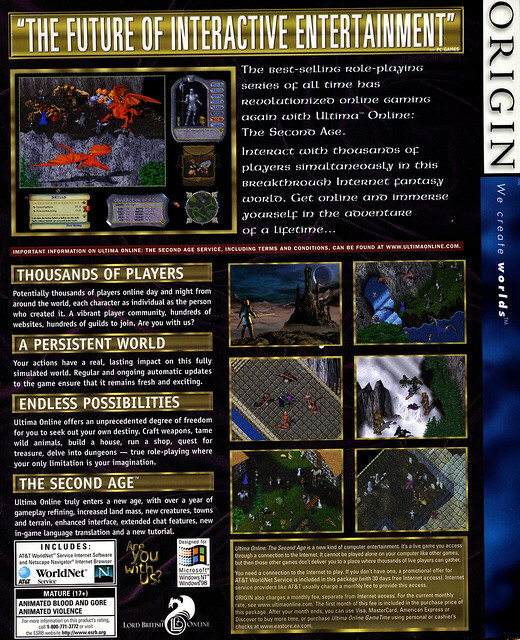 Others were critical over the fact that serious 3D MMORPGs were on the horizon. The media went from being in love with UO to mixed feelings in the span of a year. After we made it into the new world, things improved somewhat. One of the new features in The Second Age is support for player-built cities. 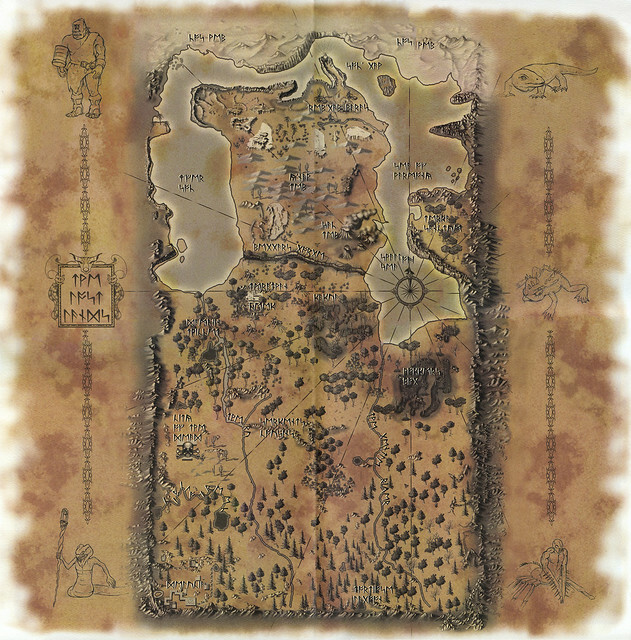 Because of this, the only premade settlements in The Second Age are relatively small and sparse. Delucia is a decent-sized town at the southwest corner of the rectangular world map, while Papua is a smaller town of grass huts closer to the center of the map. Someday, player-owned dwellings will fill out these towns and give rise to others, but it’s a little too early to report fully on that aspect of the game. We’re just hopeful that it goes smoother than the messy home building in Britannia. It often seems as if you can’t take two steps in that world without running into somebody’s house. Adrenaline Vault has their review still up as well. 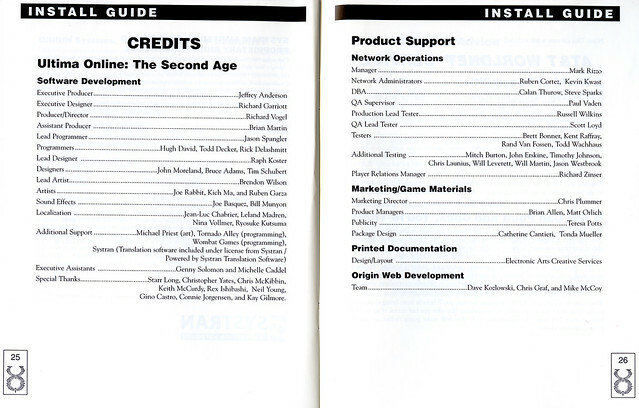 My take is that if you look at all of the things that were added between late September of 1997 and early October of 1998 before T2A launched, a lot of players would have paid for those things if they had been bundled up into their own expansion pack. T2A was kind of the final polish on all of that to help expand UO’s audience. The reviewers that claimed that T2A was what Origin should have launched with are foolish for ignoring the momentum that would have been lost had UO been in development another year. Just a note, the Big Window client added in 800×600 gameplay window size to the 2d client. Thank you for that information. I wasn’t sure if they had bumped it up to 800×600 or then.